At Southern Illinois Spine & Joint Center, massage therapy can be used in combination with chiropractic care or on its own to treat musculoskeletal disorders. Massage therapy is a technique used to manipulate musculature and soft tissues of the human body. Licensed Massage Therapists (LMT) are trained and certified through massage therapy programs over a one year period, in which they study the anatomy and physiology of the human body in addition to their technique. 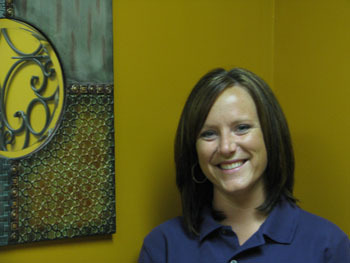 Jaimie Smith is the Licensed Massage Therapist on staff at Southern Illinois Spine & Joint Center. She has been practicing massage therapy since 2002 and is specialized in deep tissue massage, sports massage, neuromuscular therapy and myofacial release. Fewer aches and less stiffness and pain from arthritis. Reduced pain, itching, and anxiety on burn injury patients. Best results are seen with patients that utilize massage therapy in combination with chiropractic care. By doing so, not only allows one to feel better faster, but also allows the massage therapy service to be billed to the patient’s health insurance, where it is little or no cost to them.